One of the great losses in life is the death of a brother or sister, and many of us will face the loss of a sibling more than once. Yet this is one of the most neglected types of grief, especially in adulthood. (For more information on how grief of all kinds affects children, please read how children are affected by sibling loss in this section.) Following a death, the focus of support is usually on the surviving spouse and children, or on the parents who have lost their child, rather than on the siblings. A sibling often has less input into the funeral, memorial service or other arrangements. Sentiments and condolences offered to them often lead with questions about how the deceased’s “immediate” family or parents are faring. It should be remembered that this is a significant loss for a sibling, and they are dealing with their own deep grief or mourning. The loss of a sibling in adulthood can have many meanings. It is the loss of a brother or sister who shared a unique co-history with you. This person was an integral part of your formative past, for better or worse. Your brother or sister shared common memories, along with critical childhood experiences and family history. When death takes your brother or sister, it also takes away one of your connections to the past. That brother or sister knew you in a very special way, unlike those who know you now as an adult. Consequently, a constant is gone. 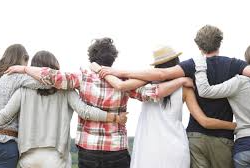 This can make you feel insecure, for although you may or may not have had frequent contact with your sibling, at least you knew another member of your family was there.Your sibling holds a symbolic place in your life even if your brother or sister did not have an impact on your current day-to-day activities. This brother or sister’s death can make you feel older and indicate that your family is dwindling. Because you likely have the same genetic background, the death of a sibling may increase concerns about your own mortality. And in some cases, the death of a sibling may suddenly make you an only or the eldest child — creating a profound shift in the role you may have held for all or most of your life. This new role, when combined with your natural grief, can make it difficult to wade through the many complicated emotions that arise when a sibling dies.Some adults who have lost an adult sibling experience a change in their relationship with their parents. Since siblings often feel their grief isn’t fully acknowledged and their parents are focused on overcoming their loss, they can feel abandoned by their parents. At a time when they need them the most, their parents are disabled by their own grief. It’s critical that surviving siblings get the support they need from others in their family or community. This will help meet not only the surviving sibling’s needs, but also temper any feelings of resentment or abandonment. Mourning after the loss of a sibling can be complicated for several reasons. The ambivalence that is normally present in a sibling relationship may give rise to guilt, and guilt is known to complicate mourning. You may have had a close relationship with your sibling or a distant one — either extreme and everything in between can affect your guilt or feelings of abandonment after your brother or sister’s death. You may experience guilt, sadness and regret if the relationship was never what you ideally would have wanted it to be. Perhaps you had not spent as much time together since you became adults with your own careers and families. Your survival itself can be another source of guilt, especially if you recall the times when you wished your sibling would disappear. These are all normal reactions to sibling loss, and you shouldn’t judge yourself if these feelings arise in you.Another factor that complicates sibling grief is the need to support your parents in their grief. This can draw on your energy and emotional reserves, making it harder to care for yourself. You may question if you have the “right” to mourn as deeply as they do, or as a surviving spouse or children do. Know that you do have the right and the need to mourn, and deserve the same support and care as others affected by your sibling’s death. There are some valuable ideas for coping with grief found within this site, as well as recommended readings in the column on the right. There are also online and local groups for those who have lost a sibling — being part of a community of people who have suffered a similar loss may be helpful. The death of a brother or sister at any age profoundly changes the lives of surviving siblings. But children who lose a sibling often face long-term challenges that differ from those for adults who lose a sibling. 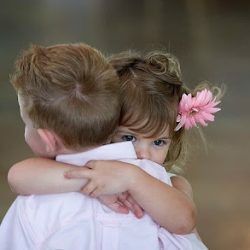 Research shows that the death of a sibling adversely affects surviving children’s health, behavior, schoolwork, self-esteem and development.Surviving siblings may be troubled throughout life by a vulnerability to loss and painful upsurges of grief around the date that the sibling died. They may develop distorted beliefs about hospitals, doctors and illness. Many bereaved siblings describe feeling sad, lonely and different from their peers.The impact of loss may be felt most by the brother or sister who shared the greatest amount of “life space” with the one who died. Siblings who shared a room or who played or spent their spare time together are likely to be those most profoundly affected.Just like adults, many children who lose a sibling can experience strong feelings of guilt. When a brother or sister dies, they remember all the fights and name-calling, seeing themselves in their memory as the bad child and the dead sibling as the good one. This can result in feeling that they are not good enough. 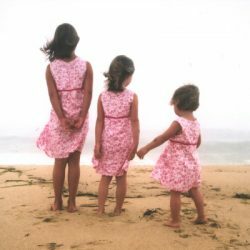 A child’s experience of losing a sibling depends partly on their understanding of death, which is associated with age and developmental level. For more information about children and grief, you can learn more in the children and grief section. Other topics that may be useful to you as you include the Mourner’s Bill of Rights, as well as the recommended readings to the right and the related links to the left.